Detectives in Sheffield are working round the clock on two unsolved murders both involving young men stabbed to death in the city. 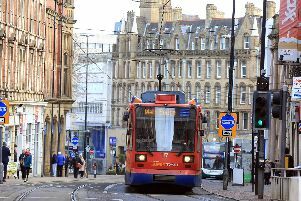 With seven fatal stabbings in Sheffield so far this year, suspects have been charged in five of the cases, but two remain unsolved. Fahim Hersi, aged 22, from Broomhall, died after he was stabbed during a fight outside the cinema at Valley Centertainment on Friday, September 21. Seven arrests were made in the immediate aftermath of the attack and an eighth suspect was arrested on Tuesday. They were all held on suspicion of murder. Two 21-year-old men remained in police custody yesterday. Detectives are poring over CCTV footage from in and around Centertainment and they have issued an appeal for motorists at the leisure complex that night to hand over their dash cam footage. The murder probe is running alongside an investigation into the death of 21-year-old Kavan Brissett, who was also stabbed to death in the city. His killer has also not been charged. Kavan was knifed in his chest in an alleyway off Langsett Walk, near Upperthorpem on Tuesday, August 14 and died in hospital four days later when his life support machine was switched off. Earlier this month, 85-year-old Alan Grayson was stabbed during an incident at his home in Orgreave Lane, Handsworth. The first fatal stabbing of the year came when 22-year-old Jarvin Blake was knifed to death at the junction of Catherine Street and Brackley Street, Burngreave.